INCREDIBLE VALUE! 5 BR/5 bath home on a SUPERIOR golf course lot is like being on vacation year-round! STUNNING views straight through this open concept home the moment you open the door! 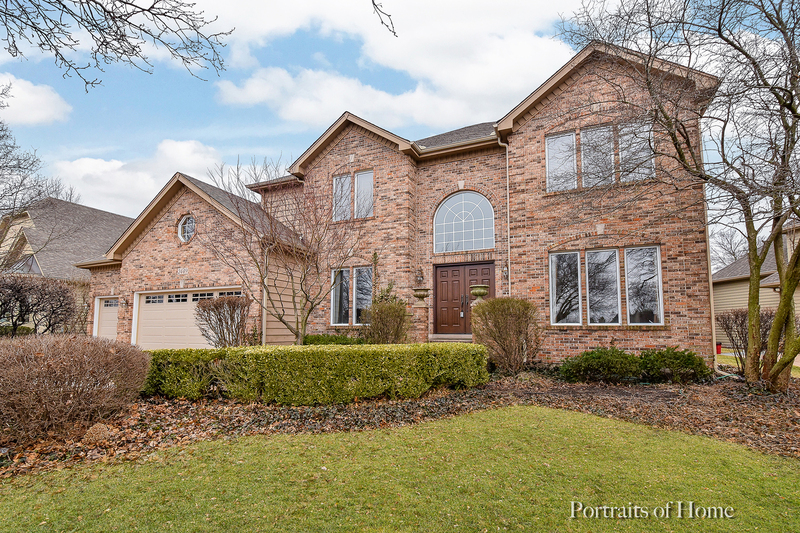 Spacious 2-story foyer flanked by separate living & dining room areas. The 2-story FR has INCREDIBLE views, built-ins, brick front gas FP, & granite wet bar. Updated Chef&apos;s kitchen is IMPRESSIVE entertaining space with island, breakfast room, high end appliances & more. Main level den (or add&apos;l BR) with its adjacent full bath. ELEGANT master suite with gas FP, balcony, & UPDATED spa bath. 3 add&apos;l large upper level BRs, one with an en suite bath & the other 2 served by a Jack & Jill bath. PERFECT bsmt finish has rec/exercise/granite kitchenette/5th BR & full bath. Main level laundry, dual staircases. Backyard deck & patio areas are a private retreat with the perennial plantings that surround. Newer...roof, gutters, garage doors, ext doors, HVAC, appliances & more! See picture descriptions for more info! !